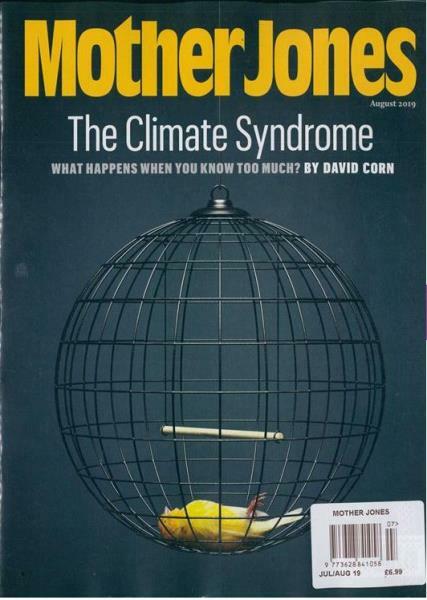 The six time winner of national magazine Award, the Mother Jones magazine is a trend setting magazine with news and articles on environment, politics, culture, human rights and other investigative stories. Buy a single copy or subscription to Mother Jones magazine. The magazine has been successfully following the path set by the social activist Mary Harris Jones (known as mother Jones) to put forward the fearless and smart journalism in its full power to inspire people against anti social demonstrations. The in depth investigation and skill full writing gives the magazine the credit of being an excellent source of relevant and trustworthy information. The articles that are written by the proficient team of writers are strong enough to completely stir the thought process and bring out the true story that is generally disguised or missed by other journals. The thoughtfully chosen topics like “Investigation of bush era torture concludes with no charges” and “10 reasons we need wolves” covers a wide spectrum of reader’s interest to provide them an exciting read that is informative and revealing too. The features like money and power in words and pictures are the comical form to demonstrate history of economics.